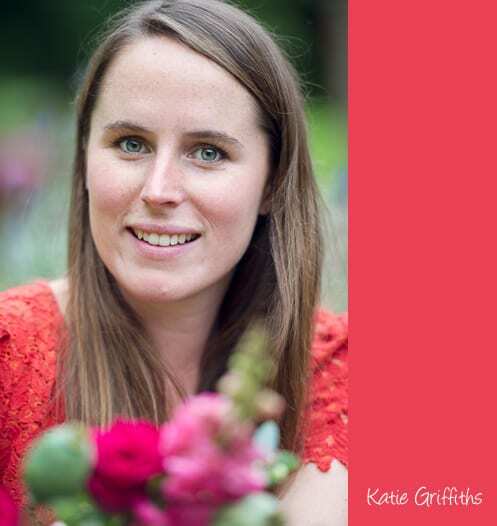 It’s Florist Friday and I’m delighted today to feature an interview with Katie Griffiths of Love From Katie. I’ve always been in love with nature. I grew up in Hong Kong & Tokyo where garden space and greenery was limited. So it was always such a joy to come back to England during the summer holidays and be surrounded by fields and open spaces. I spent my summers in my grandmother’s rose garden smelling the flowers and singing to the trees! I always felt most at home in the English countryside and knew it was definitely inherent in my being to do something close to nature. 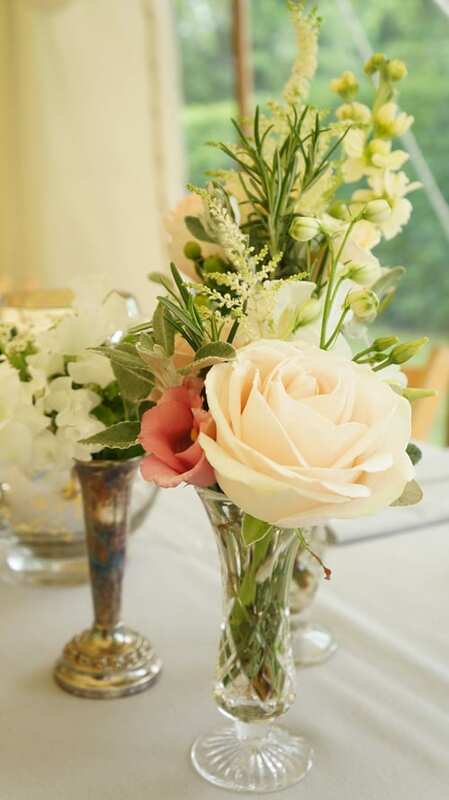 After university, I started working with The Real Flower Company where my passion for scented garden roses continued. The smell of them would transport me back to my grandmother’s rose garden! I was inspired working there and learned a great deal about flowers and the industry. After a while, I yearned for the excitement of the city. So I decided to move to London and did a stint in the fashion industry. I could see a similarity between both flowers and fashion which used my creativity in different ways. My fashion career was short-lived as I missed nature and the flower world. So I found a job in a flower shop in Borough Market. After meeting my husband in 2010, we decided to relocate. He was fed up of the daily grind and I missed the countryside. We had both been to university in Oxford and knew it was somewhere we would both enjoy living. 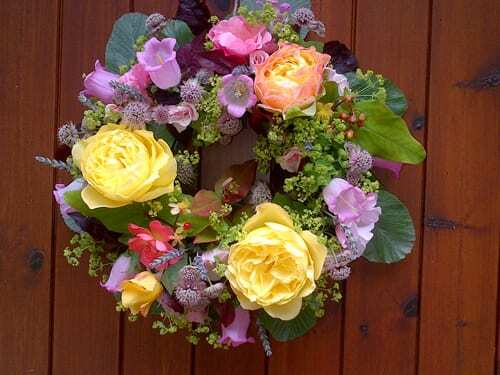 I learned a great deal working for various businesses and flower shops in London and Oxford. And after over 6 years of experience, I was ready to do it myself! It was the perfect opportunity to start my own business. When did you start Love From Katie and where are you based? Love From Katie started in September 2012 from my garden shed in Oxford. I bought some flowers from the local florist and started making bouquets and arrangements for my house. I styled them and took photos, which were the beginnings of my website. I was lucky enough to meet some amazing people along the way who helped me design my website in return for some help with Oxford Fashion Week. 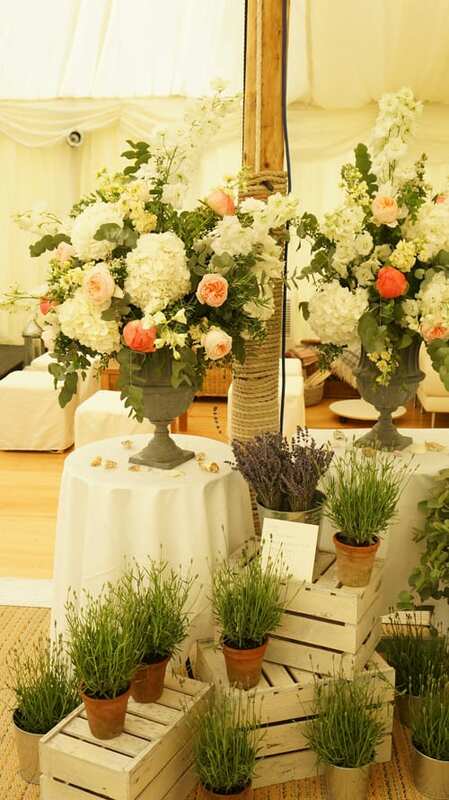 I provided them with some floral displays for their Haute Couture show and it all went from there! I now have a lovely studio where I spend most of my time working on weddings and having consultations. Oxford is such a wonderful place to live and work. 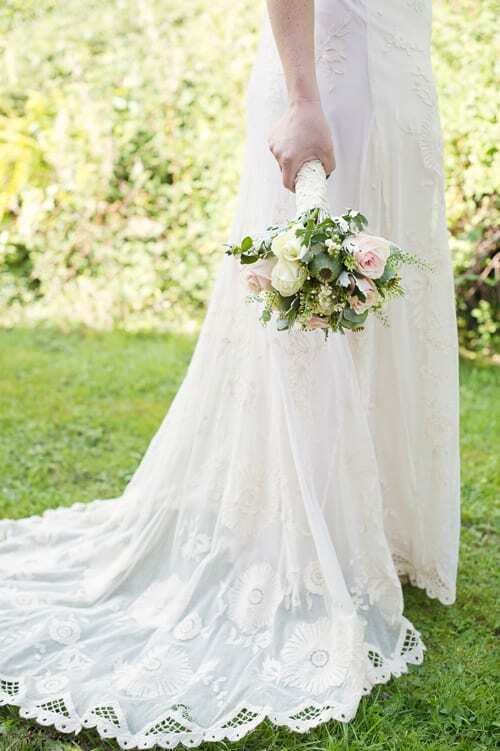 We’re surrounded by beautiful venues and Oxford Colleges that are popular for weddings, as well as The Cotswolds with some amazing locations. 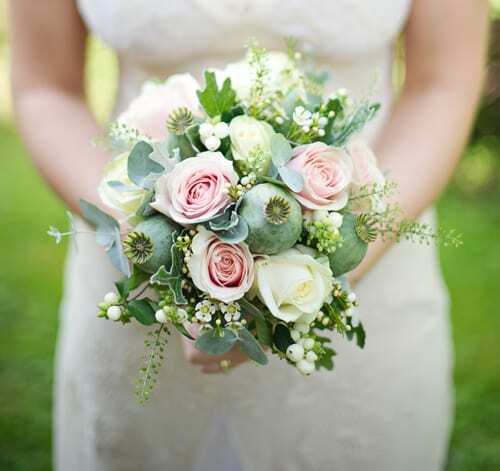 I offer a variety of services from wedding flowers which include bouquets, buttonholes, hair garlands, table arrangements, church flowers and venue decoration, to events where anything is possible! 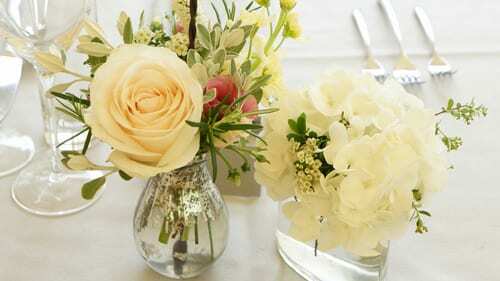 I also do venue dressing and decoration which is popular during the festive season. My work is mainly inspired by nature and the seasons. 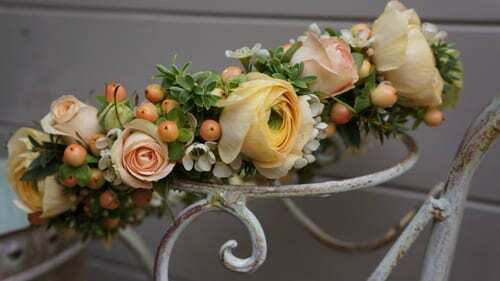 I love working with British flowers to create something natural, romantic and enchanting. I love mixing different textures together, experimenting with shape and colour. It’s always exciting meeting new brides and working on different briefs. I get so excited by certain colour combinations and ideas. I usually get straight on to Pinterest to build mood boards and create visuals…and often get carried away! The language of flowers plays a huge part in my work. 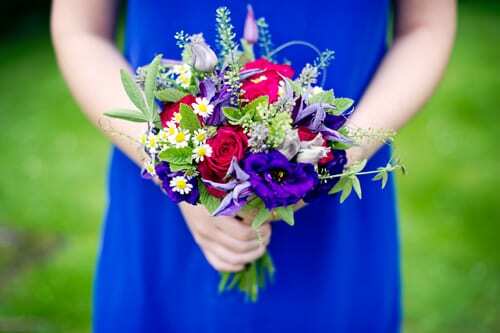 My favourite weddings are when the couple want to use flowers that mean something to them. It makes it all the more magical! It’s the ever impossible question for a florist! I would say that my favourite flowers change with the seasons. They all play such different roles. So, it’s always hard to pick a firm favourite. 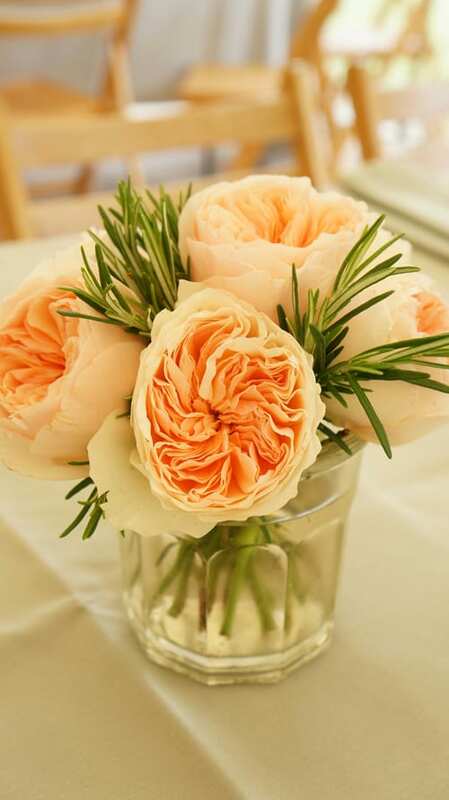 My seasonal favourites though would definitely be peonies, nigella, garden roses, scabious, ranunculus and dahlias. 2013 started with a really fabulous surprise…a 50th birthday party down in West Sussex. They had gone ‘all out’ and got an amazing events team in to plan the whole thing, down to the last crystal glass! 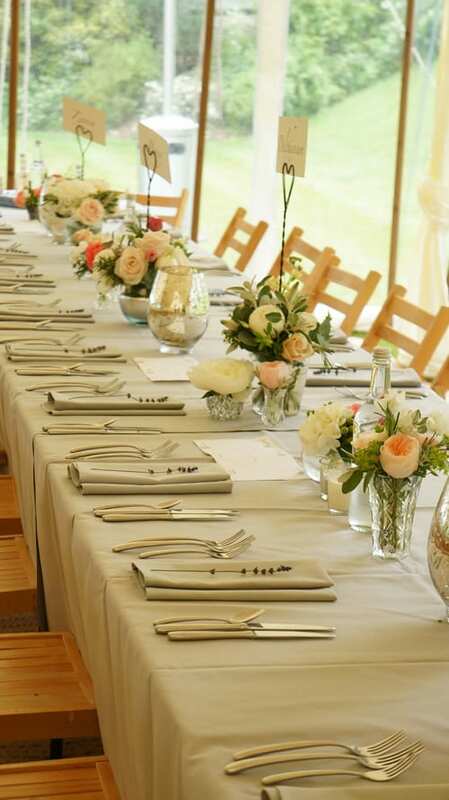 I had ordered over 800 stems of flowers to fill 50 mirrored vases and 6 candelabras. 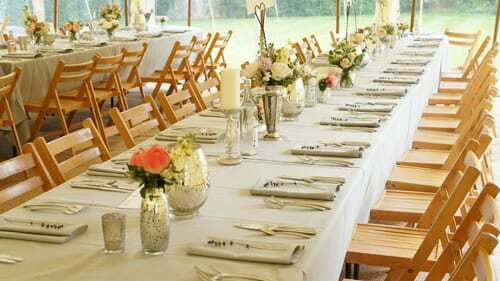 We then had to get it all done within a very short space of time before the guests arrived. It was an amazing start to the year! Having launched in September 2012, I’ve been focussing on marketing and networking. I wanted my first year to be all about collaboration and building relationships within the industry. I’ve met some amazing suppliers and worked with them on styled shoots, featured in Wedding Flowers & Accessories and You & Your Wedding magazines. Things seem to have taken off sooner than I had imagined! Bookings have come from some amazing places and word of mouth has been the best form of recommendation. There are a few venues that I work closely with and have been lucky enough to be on their recommended suppliers list, which has been a great achievement. My goals for the future are to continue building relationships, work with other wedding suppliers and expand my business. I think it’s important for florists to work together and support each other within the industry. 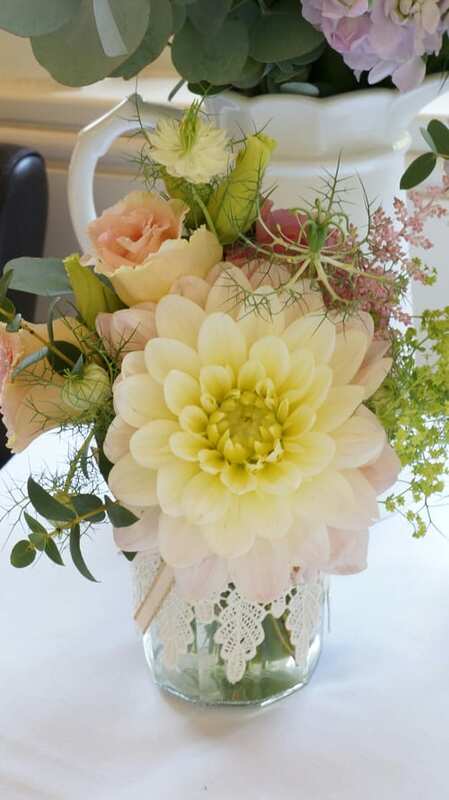 I work with some incredibly talented florists who are also based in Oxfordshire. We pass on recommendations and help each other with heavy workloads. 2013 is definitely about collaboration! One of my dreams would be to do flowers for film and TV. And I was very much inspired by your interview with Jayne Copperwaite. Could you tell us about some of the recent weddings that you’ve worked on? There’s been a real mix of weddings this year…lots of vibrant colours and peachy/pink combinations. 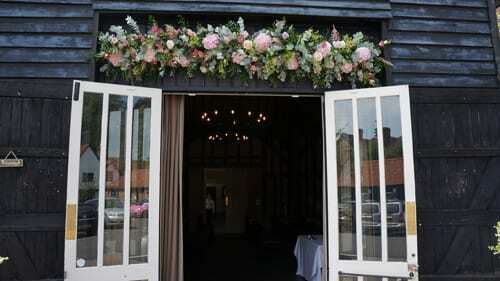 My most recent wedding was at The Olde Bell near Henley-on-Thames. It followed a festival theme and the bride supplied me with lots of ceramic jugs and Bonne Maman jam jars covered in ribbon and lace. 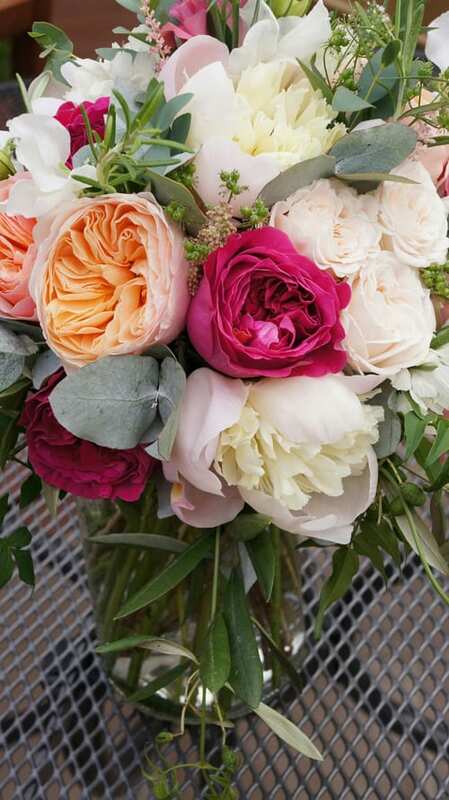 The bride wanted peaches, pinks, greens, whites and creams and it was such fun choosing all the flowers for this wedding. I got slightly carried away! 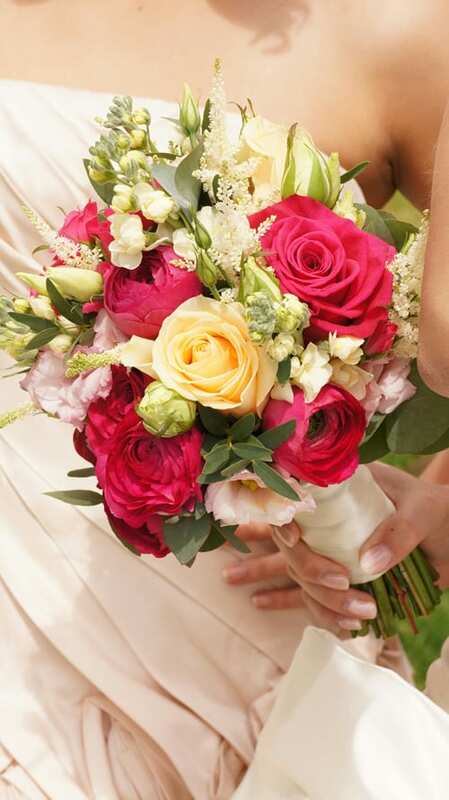 Blush pinks, peaches and creams have been a popular colour choice this year. 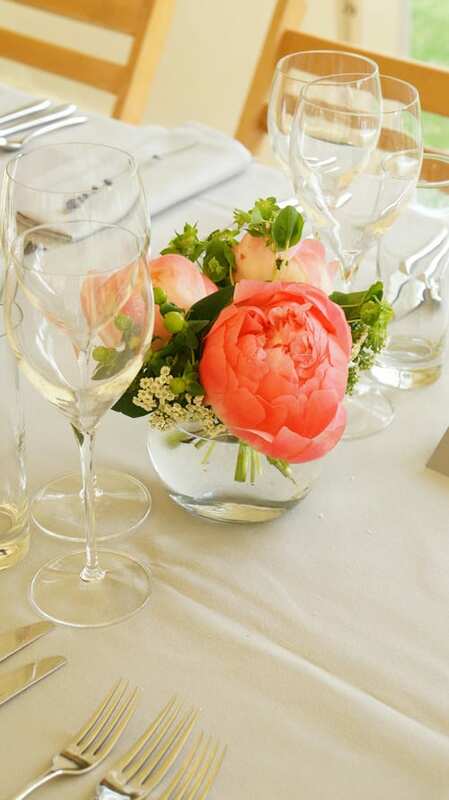 I worked on a wedding in the Cotswolds in June that followed this theme beautifully. 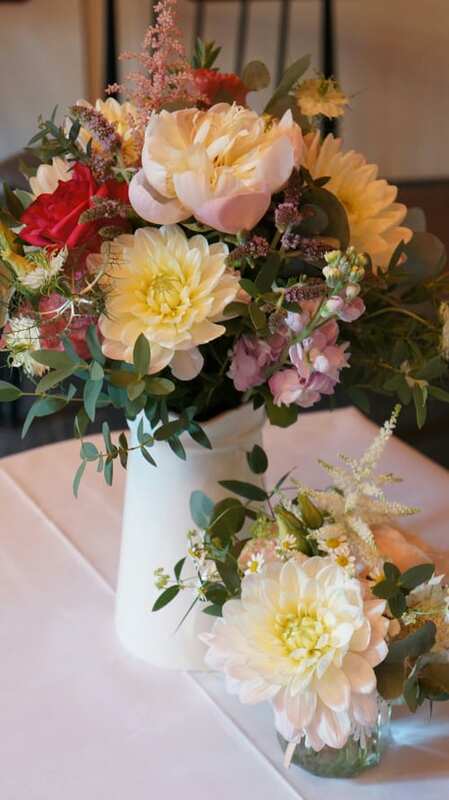 The bride had collected lots of gorgeous mercury and silver vases that we filled with peonies, David Austin roses, hydrangeas and lots of seasonal foliage. 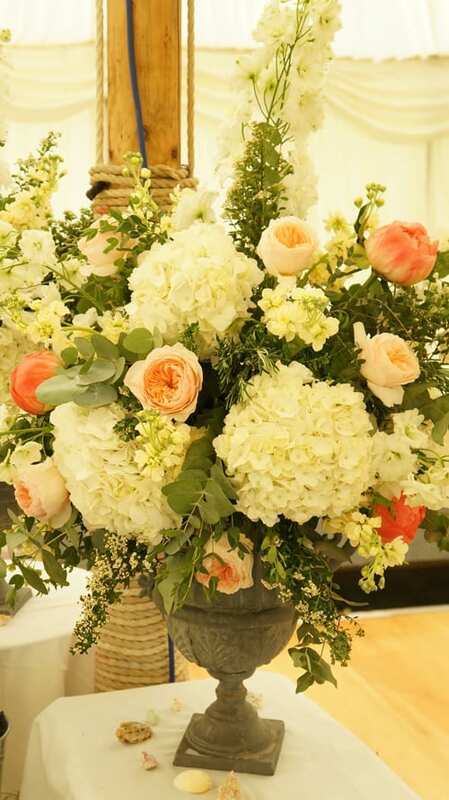 There were over thirty vases placed along three long trestle tables, as well as two large urns and a floral table arrangement. In contrast with the peach/pink colour scheme, I recently worked on a Hindu wedding at Poundon House, which is a beautiful wedding venue in the Oxfordshire countryside. 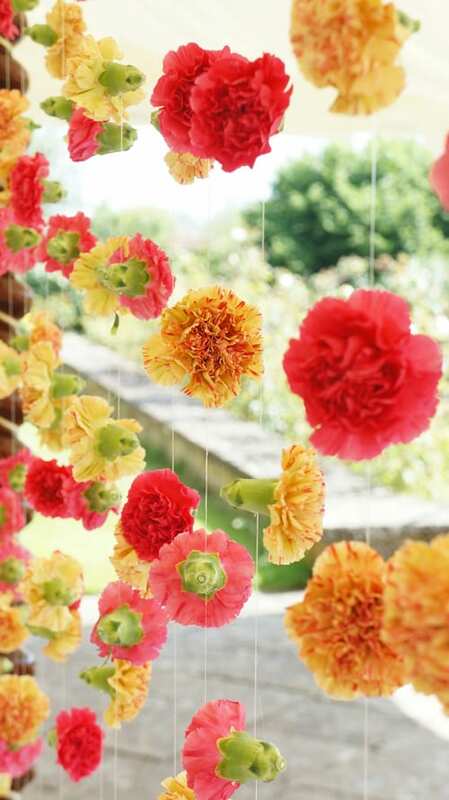 The bride wanted vibrant colours that would stand out, but not be too overbearing. 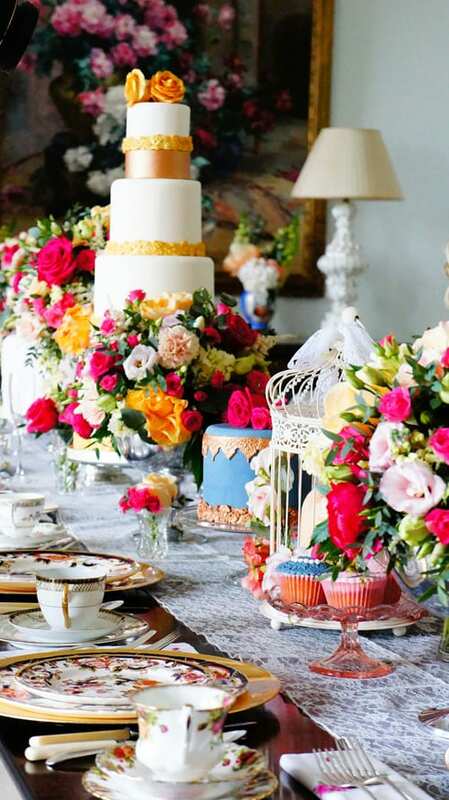 She wanted to stay in keeping with the Indian wedding tradition but introduce a touch of English country garden. 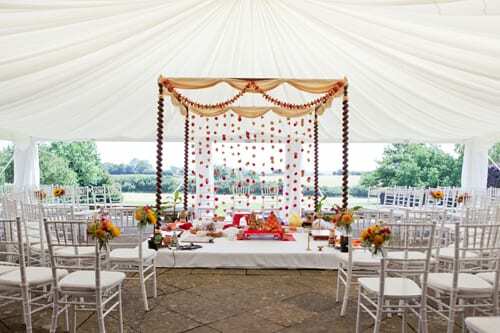 We decided on a pink and orange colour scheme and transformed the mandap with garlands of floating carnations to create a curtain. 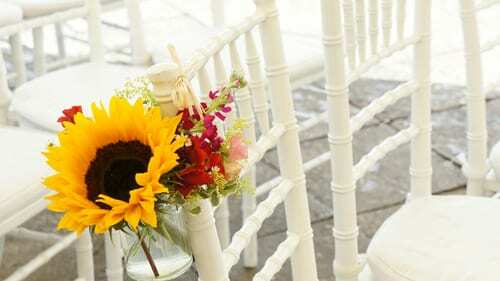 To bring in the English country garden, we used jam jars as the pew ends and chose vibrant seasonal flowers. Thank you so much to Katie for all her help in compiling today’s blog post. It was really lovely to meet her in person earlier this year at the Preview Evening of the Guildford Cathedral Flower Gala. And I’d like to wish her every success for the future with her floristry business. If you’d like to keep up-to-date with Katie’s news, she’s on Twitter and Facebook. Plus she also has a blog. Stunning flower designs .. I also agree with the ethos of florists working together and supporting each other within the industry. 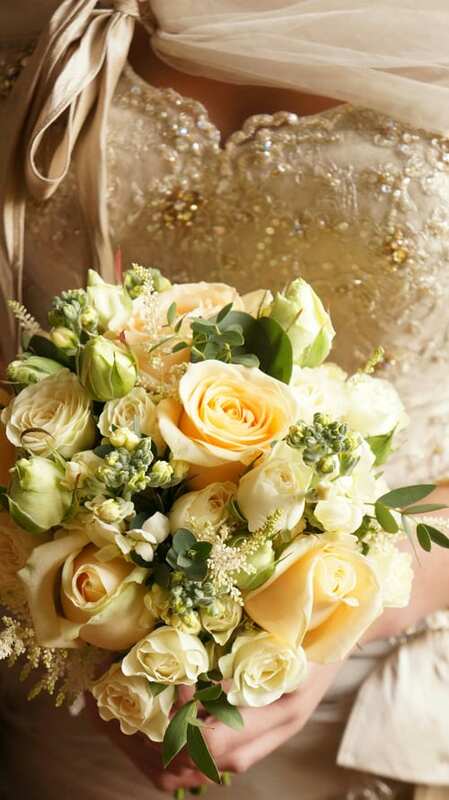 I know several freelance florists and we all help each other out at busy times .. and recommend to brides when we are already booked! Thank you very much for your comment Suzanne. 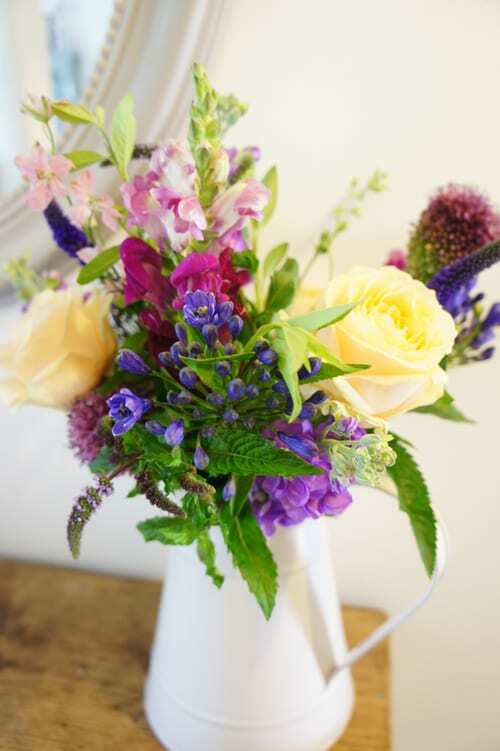 It’s really lovely to hear that you collaborate with other florists too :-).